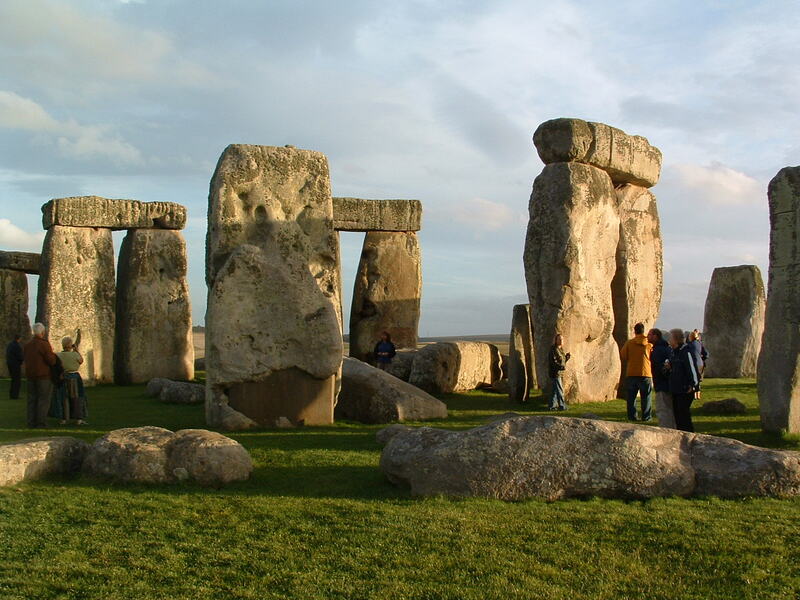 Visit the awe – inspiring prehistoric monument of Stonehenge, the most outstanding monument in the British Isles and a World Heritage Site. Hear about the many myths, legends and mysteries of this ancient monument, over 5000 years old, and take time to reflect upon its powerful presence. See the Celtic burial mounds where this ancient civilisation buried their leaders. Afterwards, we venture into King Arthur’s Avalon and explore the mystery, chivalry and romance of King Arthur. Enjoy a leisurely walk up Glastonbury Tor and enjoy breathtaking views from this fabled Isle of Avalon, rich in myth and legend. Imagine how, in distant times where history fades into legend, the Tor was an isolated island surrounded by sea………. Visit the tranquil Chalice Well Gardens – a timeless and sacred place full of legend, symbolism and atmosphere……. a place whose history has no beginning. Drink from the magical red and white springs. Explore Glastonbury Abbey, the final resting place of King Arthur and his queen, Guinevere and once a major centre of culture and learning. An earlier legend tells of how Joseph of Arimathea brought the Holy Grail to Glastonbury and built a simple church on the site of this great abbey – possibly the first Christian church in England, “the holiest earthe in England”. There’s also time to savour the special atmosphere of Glastonbury village with its medieval buildings and unusual shops. Visit the medieval village of Avebury ringed by the world’s largest stone circle. Our walking tour will bring this ancient site to life. Try your hand at the ancient art of dowsing – prepare to be amazed ! Take time to explore the pretty village with its thatched cottages, antiques and beautiful church and maybe enjoy a cream tea or a pint of ale in the Red Lion pub. We also drive through the Warminster Triangle, a mysterious zone renowned for crop circles and UFO sightings. Hear about the many theories explaining these strange phenomena and take a closer look at any crop circle formations en route (seasonal). Our day tour leave London at approx 07.30 – 8.00am and aim to return approx 7.00pm.